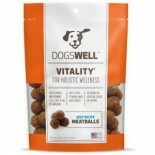 Attributes: Natural or Organic IngredientsIngredients: Sardine, sardine broth, potato starch, sunflower oil, guar gum, tricalcium phosphate, avocado oil, vitamins & minerals (Vitamin E supplement, zinc oxide, thiamine mononitrate, manganese sulfate, vitamin a supplement, menadione sodium bisulfate c.. 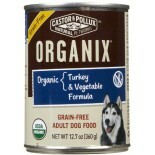 Attributes: Natural or Organic IngredientsIngredients: Salmon, Salmon Broth, Turkey, Chicken Liver, Rice Flour, Oat Bran, Avocado Oil, Cranberries, Blueberries, Guar Gum, Potassium Chloride, Minerals (Iron Amino Acid Chelate, Zinc Amino Acid Chelate, Cobalt Amino Acid Chelate, Copper Amino Acid Chel.. 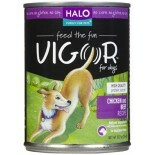 Attributes: Natural or Organic IngredientsIngredients: Salmon, salmon broth, tricalcium phosphate, sunflower oil, guar gum, avocado oil, taurine, vitamins & minerals (Vitamin E supplement, zinc oxide, thiamine mononitrate, manganese sulfate, Vitamin A supplement, menadione sodium bisulfate complex (.. 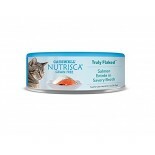 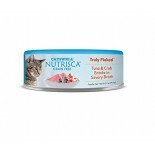 Attributes: Natural or Organic IngredientsIngredients: Tuna, tuna broth, prawns, sunflower oil, tricalcium phosphate, avocado oil, guar gum, vitamins & minerals (Vitamin E supplement, zinc oxide, thiamine mononitrate, manganese sulfate, Vitamin A supplement, menadione sodium bisulfate complex (sourc.. 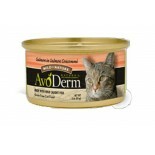 Attributes: Natural or Organic IngredientsIngredients: AvoDerm formulas provide healthy balanced nutrition for your cat and dog. 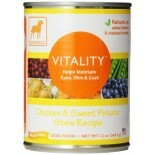 High quality ingredients ensure that you are providing the optimum nutrition your pet needs. 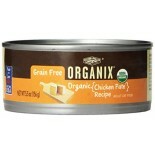 No Wheat. 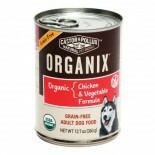 No Corn. 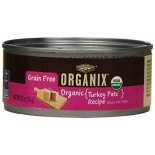 No Grain. 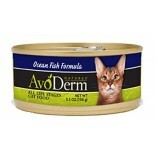 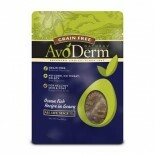 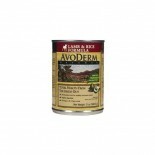 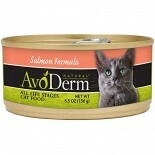 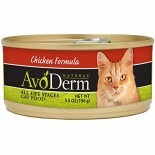 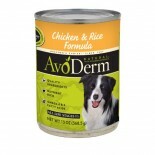 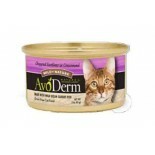 Grain Free AvoDerm has vitamins, minerals, and an.. 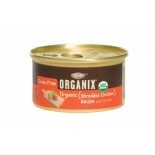 Attributes: Natural or Organic IngredientsIngredients: Organic Chicken, Herring Meal, Organic Peas, Organic Soybean Meal, Organic Barley, Organic Brown Rice, Chicken Fat (preserved with mixed Tochopherols, Rosemary, and Citric Acid), Dicalcium Phosphate, Salmon Meal, Natural Liver Flavor, Organic Fl.. 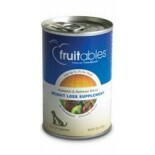 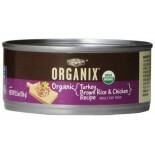 Attributes: Natural or Organic IngredientsIngredients: Organic Turkey, Salmon Broth, Organic Chicken, Organic Chicken Liver, Organic Brown Rice, Salmon, Organic Guar Gum, Calcium Sulfate, Organic Flaxseed Meal, Tricalcium Phosphate, Potassium Chloride, Minerals (Iron Amino Acid Chelate, Zinc Amino A.. 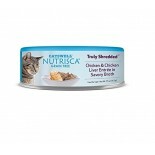 Attributes: Natural or Organic IngredientsIngredients: Organic Turkey, Turkey Broth, Organic Chicken, Organic Chicken Liver, Organic Brown Rice, Organic Spinach, Organic Guar Gum, Sea Salt, Calcium Sulfate, Organic Flaxseed Meal, Tricalcium Phosphate, Potassium Chloride, Minerals (Iron Amino Acid Ch.. 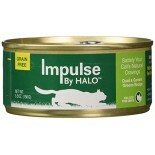 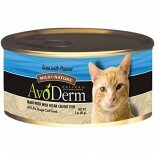 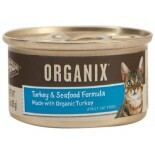 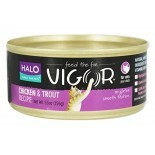 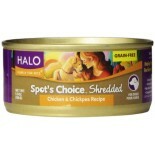 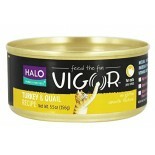 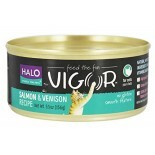 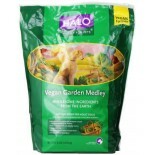 Attributes: Natural or Organic IngredientsIngredients: Organic Turkey, Salmon Broth, Organic Chicken Liver, Organic Brown Rice, Organic Chicken, Shrimp, Organic Guar Gum, Calcium Sulfate, Tricalcium Phosphate, Organic Flaxseed Meal, Sea Salt, Potassium Chloride, Vitamins (Vitamin E, A, D3, B12 Suppl.. 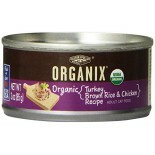 Attributes: Natural or Organic IngredientsIngredients: Organic Turkey, Chicken Broth, Organic Brown Rice, Organic Chicken, Organic Chicken Liver, Organic Guar Gum, Organic Rice Protein Concentrate, Tricalcium Phosphate, Sea Salt, Calcium Sulfate, Organic Flaxseed Meal, Potassium Chloride, Choline Ch.. Attributes: Natural or Organic Ingredients, Non-GMO Project VerifiedIngredients: Organic Chicken, Water Sufficient for Processing, Organic Brown Rice, Organic Turkey, Organic Chicken Liver, Organic Potatoes, Organic Carrots, Organic Apples, Organic Guar Gum, Organic Flaxseed Meal, Sea Salt, Tricalc.. 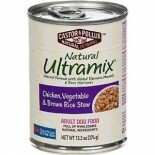 Attributes: Natural or Organic Ingredients, Non-GMO Project VerifiedIngredients: Organic Chicken, Water Sufficient for Processing, Organic Brown Rice, Organic Chicken Liver, Organic Carrots, Organic Potatoes, Organic Apples, Organic Guar Gum, Organic Flaxseed Meal, Sea Salt, Tricalcium Phosphate, M.. 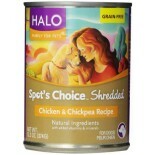 Attributes: Natural or Organic IngredientsIngredients: Organic Chicken, Chicken Meal, Organic Peas, Organic Extruded Soybean Seeds, Organic Barley, Organic Brown Rice, Chicken Fat (preserved with mixed Tochopherols, Rosemary, and Citric Acid), Dicalcium Phosphate, Salmon Meal, Natural Liver Flavor, .. 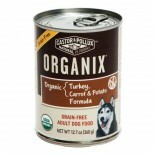 Attributes: Natural or Organic IngredientsIngredients: Organic Turkey, Turkey Broth, Organic Brown Rice, Organic Chicken Liver, Organic Carrots, Organic Potatoes, Organic Apples, Organic Flaxseed Meal, Organic Guar Gum, Sea Salt, Potassium Chloride, Minerals (Iron Amino Acid Chelate, Zinc Amino Acid.. 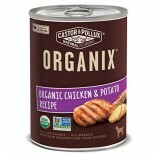 Attributes: Natural or Organic Ingredients, Non-GMO Project VerifiedIngredients: ORGANIC CHICKEN, WATER SUFFICIENT FOR PROCESSING, ORGANIC CHICKEN LIVER, ORGANIC PEA FLOUR, ORGANIC CARROTS, ORGANIC POTATOES, ORGANIC APPLES, ORGANIC GUAR GUM, ORGANIC FLAXSEED MEAL, SALT, TRICALCIUM PHOSPHATE, MINERAL.. 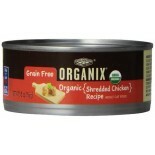 Attributes: Natural or Organic Ingredients, Non-GMO Project VerifiedIngredients: ORGANIC CHICKEN, WATER SUFFICIENT FOR PROCESSING, ORGANIC TURKEY, ORGANIC CHICKEN LIVER, ORGANIC PEA FLOUR, ORGANIC CARROTS, ORGANIC POTATOES, ORGANIC APPLES, ORGANIC GUAR GUM, ORGANIC FLAXSEED MEAL, SALT, TRICALCIUM PH.. 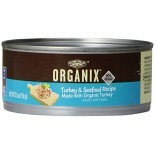 Attributes: Natural or Organic IngredientsIngredients: ORGANIC TURKEY, WATER SUFFICIENT FOR PROCESSING, ORGANIC PEA FLOUR, ORGANIC CHICKEN, ORGANIC CHICKEN LIVER, ORGANIC RICE PROTEIN CONCENTRATE, ORGANIC GUAR GUM, CALCIUM SULFATE, SALT, ORGANIC FLAXSEED MEAL, MINERALS (IRON AMINO ACID CHELATE, ZINC.. 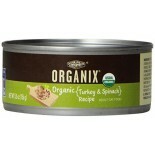 Attributes: Natural or Organic IngredientsIngredients: ORGANIC TURKEY, WATER SUFFICIENT FOR PROCESSING, ORGANIC CHICKEN LIVER, ORGANIC PEA FLOUR, ORGANIC CARROTS, ORGANIC POTATOES, ORGANIC APPLES, ORGANIC GUAR GUM, ORGANIC FLAXSEED MEAL, SALT, TRICALCIUM PHOSPHATE, VITAMINS (VITAMIN E, A, B12, D3 SU.. 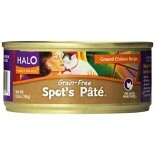 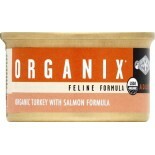 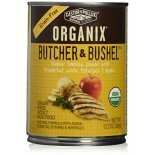 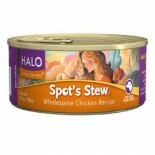 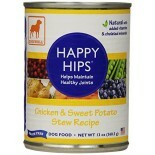 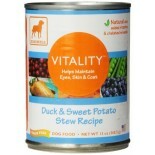 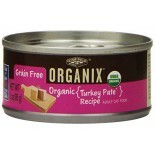 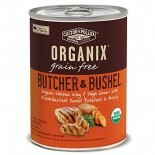 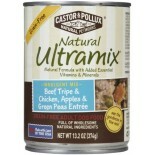 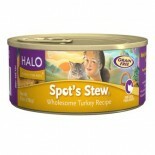 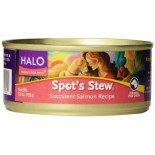 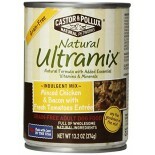 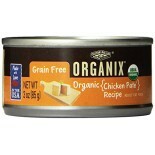 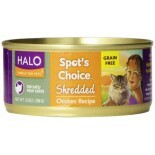 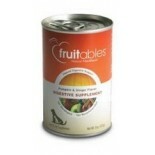 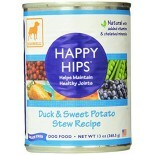 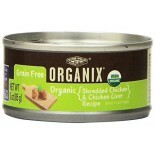 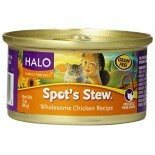 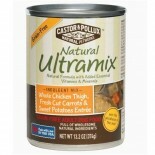 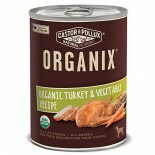 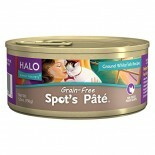 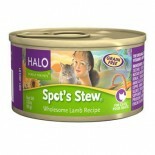 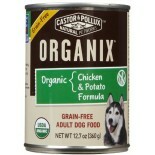 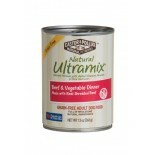 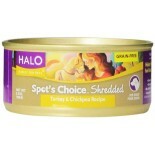 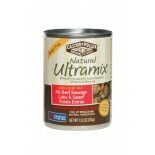 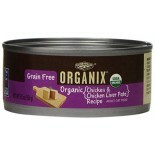 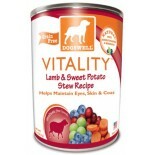 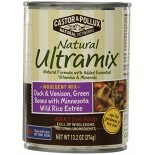 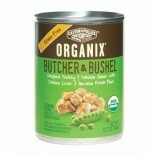 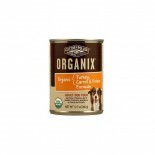 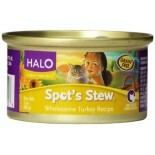 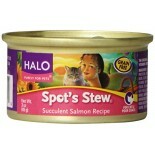 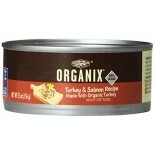 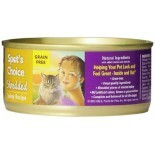 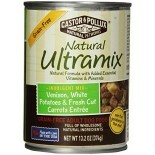 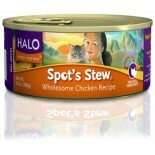 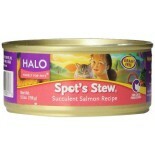 Attributes: Natural or Organic IngredientsIngredients: Chicken Broth, Chicken, Turkey, Chicken Liver, Brown Rice, Potatoes. 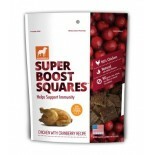 Egg Whites, Potato Starch, carrots, peas, oat fiber, red peppers, guar gum, natural flavor, flaxseed meal, cranberries, blueberries, apples, spinach, sodium phosphate, dried ba.. 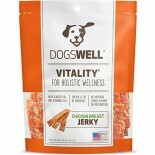 Attributes: Natural or Organic IngredientsIngredients: Beef, Beef Broth, Potatoes, Carrots, Potato Starch, Peas, Calcium Sulfate, Guar Gum, Sunflower Oil, Salt, Dicalcium Phosphate, Flaxseed Oil, Choline Chloride, Betaine, Potassium Chloride, Taurine, Zinc Proteinate, Calcium Carbonate, Iron Protein.. 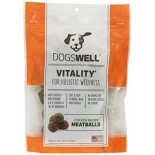 Attributes: Gluten Free, Natural or Organic Ingredients, Wheat FreeIngredients: Chicken, Chicken Broth, Chicken Liver, Salmon, Flaxseed, Sweet Potatoes, Dicalcium Phosphate, Chicken Cartilage (Natural source of Glucosamine Hydrochloride & Chondrotin Sulfate), Shellfish Flour (Natural source Glucosam.. Attributes: Gluten Free, Natural or Organic Ingredients, Wheat FreeIngredients: Chicken, Chicken Broth, Water Sufficient for Processing, Chicken Liver, Dried Egg Product, Salmon (Source of Omega 3), Peas, Potato Starch, Sweet Potatoes, Guar Gum, Natural Flavor, Sodium Phosphate, Cranberries, Blueber.. 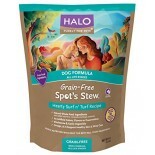 Attributes: Gluten Free, Natural or Organic Ingredients, Wheat FreeIngredients: Chicken Broth, Duck, Chicken Liver, Chicken, Salmon, Dried Egg Product, Peas, Potato Starch, Sweet Potatoes, Dried Chicken Cartilage (Source of Glucosamine Hydrochloride & Chondroitin Sulfate), Red Peppers, Guar Gum, Nat.. 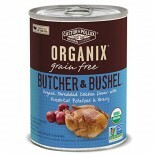 Attributes: Gluten Free, Natural or Organic Ingredients, Wheat FreeIngredients: Duck, Duck Diver, Salmon (source of Omega 6 & Omega 3), Duck Broth, Sweet Potatoes, Carrots, Carrageenan Gum, Dicalcium Phosphate, Guar Gum, Flaxseed (source of Omega 3), Cranberries, Blueberries, Spinach, Peas, Zucchini.. 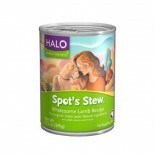 Attributes: Gluten Free, Natural or Organic Ingredients, Wheat FreeIngredients: Water Sufficient For Processing, Lamb, Lamb Liver, Beef, Beef Liver, Dried Egg Product, Salmon, Peas, Potato Starch, Sweet Potatoes, Dried Chicken Cartilage (Source Of Glucosamine Hydrochloride & Chondroitin Sulfate), Re.. 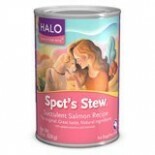 Attributes: Gluten Free, Natural or Organic Ingredients, Wheat FreeIngredients: Water Sufficient For Processing, Lamb, Lamb Liver, Beef, Beef Liver, Dried Egg Product, Salmon (Source Of Omega 3), Peas, Potato Starch, Sweet Potatoes, Guar Gum, Natural Flavor, Calcium Carbonate, Tricalcium Phosphate, .. 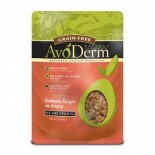 Attributes: Natural or Organic Ingredients, Wheat Free.. 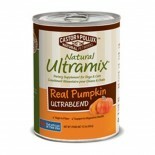 Attributes: Artificial Ingredients, Dairy Free, Low Salt / Low Sodium / Reduced Sodium, Natural or Organic Ingredients, Vegan, Wheat Free, Yeast FreeIngredients: Pumpkin, apple pomace, spinach, tomato pomace, choline chloride, ginger, spearmint, ground flax seed, cinnamon, calcium pantothenate (Vita.. 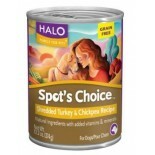 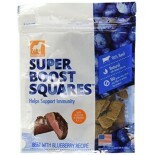 Attributes: Dairy Free, Natural or Organic Ingredients, Wheat Free, Yeast FreeIngredients: Turkey, Turkey Broth, Turkey Liver, Chickpeas, Carrots, Guar Gum, Cassia Gum, Potassium Chloride, Carrageenan, Blueberries, Cranberries, Flaxseed, Salt, Choline Chloride, Dicalcium Phosphate, Zinc Proteinate, .. 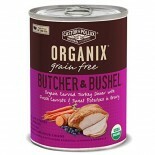 Attributes: Natural or Organic IngredientsIngredients: Turkey, Turkey Broth, Turkey Liver, Chickpeas, Carrots, Guar Gum, Cassia Gum, Potassium Chloride, Carrageenan, Blueberries, Cranberries, Flaxseed, Salt, Choline Chloride, Dicalcium Phosphate, Zinc Proteinate, Iron Proteinate, Calcium Carbonate, .. 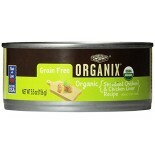 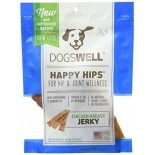 Attributes: Gluten Free, Low Carb, Natural or Organic Ingredients.. 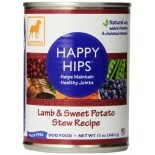 Attributes: Low Carb, Natural or Organic Ingredients.. 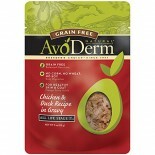 Attributes: Dairy Free, Low Carb, Natural or Organic Ingredients, Wheat FreeIngredients: Whitefish, Whole Peas, Pea Protein, Potato, Eggs, Pea Flour, Turkey Liver, Vegetable Broth, Turkey, Chicken Fat (preserved with mixed tocopherols and citric acid), Flax Seed, Pea Fiber, Duck, Salmon Oil (preserv..